Searching for family-friendly things to do in Monticello, Indiana? You’re in luck! 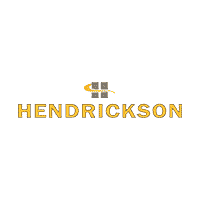 The specialists at Hendrickson Chrysler Dodge Jeep Ram aren’t just experts in Chrysler, Dodge, Jeep, Ram vehicles; we’re also experts in local hot spots! Today, we’re excited to bring you some of our favorite places to go in Monticello for family fun. Experience Lake Freeman on the largest Coast Guard approved vessel in the state of Indiana. The boat can handle up to 500 guests, so you and the whole family can make your way along the lake, all the way to the dam and back. In service since 1976, the boat operates seasonally from May to October, offering live entertainment, dinner cruises, special events, and even private charters on a unique vessel that’s one of the oldest operating commercial charter vehicles in the state. This lovely community park doubles as a nature preserve, offering miles of walking trails, an amphitheater, and fire pits ideal for getting out and sharing a life of the great outdoors with the kids without getting too far away from town. Altherr Park is perfect for little legs and those who prefer not to hike miles into the wilderness to get a glimpse of wildlife. Do you have a fan of roller coasters in the family? How about a lover of cotton candy or dancing? You’ll find all that and more at the Indiana Beach Amusement and Water Park. This old-fashioned amusement park is destined to be your top pick when it comes to entertaining the adventure lovers and your family. A winding kart track with vehicles designed for drivers of all ages, the NASCAR go-kart track next to the Indiana Beach campground is an excellent choice for those who love speed and love making memories even more. It’s perfect for visitors of all ages, and is a great way to get the kids involved in your love of racing while making memories the family won’t soon forget. The local guides at Hendrickson Chrysler Dodge Jeep Ram are prepared to help you find your next adventure in Monticello. When you’ve explored different things to do in Monticello, Indiana, come down to our nearby Rensselaer dealership to upgrade your ride! Our team is ready to help you find the Chrysler, Dodge, Jeep, Ram that’ll suit you best, so stop by the lot and check out our new and pre-owned inventory. Contact us with any questions you may have or if you’re ready to start the new car buying process, apply for financing.